Well, not quite that, but I will be travelling for the next two weeks and won’t be blogging. At least, now that I have an e-reader, I don’t have to ponder about which books to take. I can take ALL OF THEM. Au revoir, dear readers. The plot comes after theme and characters. It’s less interesting to me but I know it’s vital: it’s plot which grips people from the outset and keeps them turning the pages. My best writing days are when I start writing in bed, any time after 6 a.m., as soon as I’ve had my first mug of Yorkshire tea. Then after a couple of hours, I have a quick breakfast and get up and go to my study. I like to write until one o’clock. Then my brain is fried and I need fresh air, practical activity or company. BUT I TOLD YOU LAST YEAR THAT I LOVED YOU is about a long term marriage where the husband has Asperger syndrome. What drew you to that subject? My husband and grandson have Asperger syndrome (now simply termed autism) and although there are currently a lot of fictional characters in popular culture with it, there is a lot of caricature which is unhelpful to a true understanding of the syndrome. It is a spectrum disorder, which means that whilst there are basic characteristics which all people with autism share, there is huge variation in specifics and in degree. On first meeting my husband or grandson you would have no idea they were autistic. They are both charming, polite, articulate, and friendly, with a firm handshake and able to look you in the eye. They also have a great sense of humour. Only after spending a day with them would you begin to see their different way of looking at what we take for granted, and also begin to appreciate and understand some of the stresses they experience just by being in the social and sensual world. I am making the ebook of BUT I TOLD YOU LAST YEAR THAT I LOVED YOU free this weekend (27th-30th March) to support World Autism Awareness Week. The Tattered Cover in Denver, which I go to when I visit my son in Colorado. It has a wonderful selection of adults and children’s books, friendly knowledgeable staff, and plenty of comfortable places to sit. I once read a huge chunk of Graham Swift’s Light of Day in there when it was too hot to be outside and I had some time to spare. Yes – I did buy the book! Constant rain – day in day out – would help. I am an outdoorsy kind of person, and if it’s a warm, sunny day I have to fight the urge to go out and garden, or more likely, go for a ride on my bike. 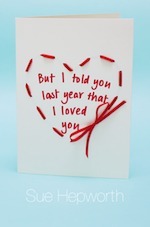 I am adapting But I Told You Last Year That I Loved You for television – four one hour episodes. It’s been challenging as well as huge fun to learn a new way of telling a story. I’ve enjoyed it so much, I may go straight to a screenplay for my next project and bypass the novel stage entirely. You can read Sue’s entertaining blog at http://wwwsuehepworth.com and don’t forget to download a free copy of her novel at http://amzn.to/18VPHVW. This is a reread, too, but certainly not a comfort read. 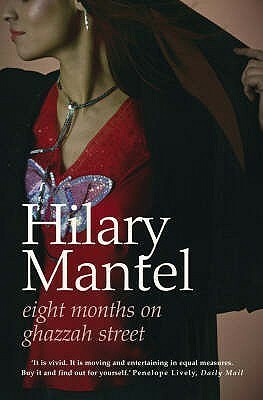 I wanted to see if Hilary Mantel’s 1988 novel is as sinister as I remembered – and it is. When cartographer Frances goes to Saudi Arabia to join her husband who is a surveyor on a building project, she doesn’t know what she is getting into. Mantel – who herself spent four years there with her husband – brilliantly describes the sights and smells and the noise of the city and the increasing disorientation that Frances feels. The Saudi women seem to her to be virtual prisoners – but then so is she. She is not permitted to work, or drive, rarely able to go out without her husband and confined to a dreary social scene of mostly appalling ex-pats. She becomes friends with a Pakistani woman in the next flat, but the cultural gap between them seems unbridgeable, her Muslim friend’s view of the West unrecognisable. They are often at cross purposes. Frances begins to suspect that something is going on in the flat above, which is supposed to be empty. There is a rumour that an adulterous couple are meeting there – and this in a society where a woman can be stoned for adultery. Is Frances perhaps imagining things? Slowly, slowly an atmosphere of creeping claustrophobia and fear develops . . . This is a book which, if anything, is even more resonant in its depiction of the gulf between East and West than when it was written, and it is deeply unsettling. 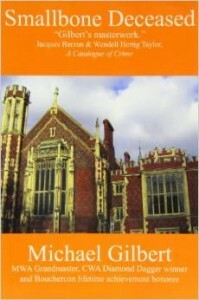 This cover gives a misleading impression of the book, which is much darker and broader in its scope than this rather trivialising image suggests. There are times when I just don’t have the energy to tackle something new, and a return to old favourites is exactly what I need. Michael Gilbert is fitting the bill at the moment. To read his novels is to take a masterclass in crime fiction. He wrote a lot: over 400 short stories and around three dozen novels, as well as radio and TV plays. He wrote almost every type of crime novel: police procedurals, classic whodunits, thrillers. To all of them he brought a superb sense of pace, tight plotting and a dry sense of humour. What’s more he had a day job as a lawyer and wrote as he commuted into London. He was a founder member of the CWA. Rather wonderfully, he was Raymond Chandler’s UK lawyer. Rather less wonderfully he went to the same school as my husband, some considerable time before. If he specialised in anything it might have been the one-honest-man-brings-down-corrupt-organisation plot. In The Crack in the Teacup, a small-town solicitor comes up against local government corruption. In The Long Journey Home it is an engineer who crosses swords with a corrupt international company in league with the Mafia. Of this sub genre I particularly like The Final Throw: corrupt financial empire brought down by – well, I’d better not disclose by whom in case you haven’t read it. Of the classic whodunits, The Black Seraphim, set in a cathedral close (a setting I plan to use myself one day) and the splendid Smallbone Deceased (set in a lawyers’ office in which a body is found in a deed box) are particular favourites. Gilbert had a long career and died in 2006 aged 93. I bet he was great company and I am sorry I never met him. I look around the room . 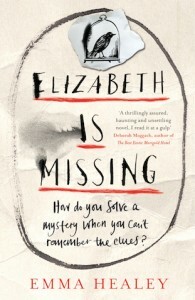 . . “Elizabeth is missing,” I say. 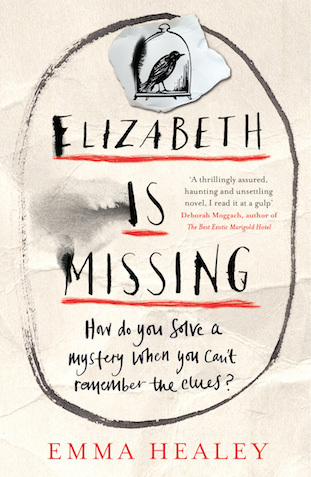 In Emma Healey’s ingenious crime novel, Elizabeth is Missing, Maud is suffering from dementia, and it is by no means clear that Elizabeth really is missing. Through no fault of her own Maud is the ultimate unreliable narrator. There are huge gaps in her recent memory and yet events of seventy years ago when her sister disappeared are recalled in brilliant detail. It’s a great idea, but an idea isn’t enough: it has to be well executed and this one is. We witness Maud’s increasing and painful confusion in the present as she slowly unravels the events of the past. The novel is gripping, sad, very well written and cleverly plotted – and, yes, I wish I’d thought of it! 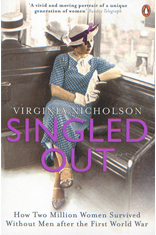 I’ve very much enjoyed Virginia Nicholson’s Singled Out: How Two Million Women Survived Without Men after the First World War. It is the kind of gossipy, anecdotal history that is very easy to read. Nicholson has done an enormous amount of research. The pages throng with remarkable women who managed to find meaning in life without a husband or children: women like Gertrude Caton-Thompson who trained as an archaeologist in her thirties, travelled extensively on digs, and ended up teaching at Newnham College: Mary Grieve who was editor of Woman magazine for 30 years; many writers, including Elizabeth Jenkins and Elizabeth Goudge. Women lawyers, teachers, stockbrokers, and engineers all seized their chance. But if one thing comes over strongly, it is that while middle class and upper class women could often find worthwhile and financially rewarding employment, for working class women it was the tough life of a shop girl or factory worker. For them, marriage must surely have been preferable, even if as Nicholson points out, it was rarely a bed of roses.